Falcon Lake is about 42 and a half feet low, with water temperatures ranging from the upper 60â€™s to the mid 70â€™s. Water clarity is pretty good in most places. 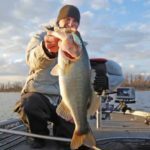 Black bass fishing has been OK, with a few really good stringers being caught, while other have had little or no action. Most fish are being caught on plastics in depths of 1 to 4 feet. Best colors have been watermelon with red glitter and black with red glitter. There are a few reports of some fish being caught on spinnerbaits. A few stripers are being caught on jigging spoons in depths from 12 to 25 feet. There have been no reports of catfish, white bass, or crappie. Launching is OK at Falcon State Park, but they always recommend a 4 wheel drive, anytime the concrete ramp is not being used. The Zapata County ramp is being used with no problems. 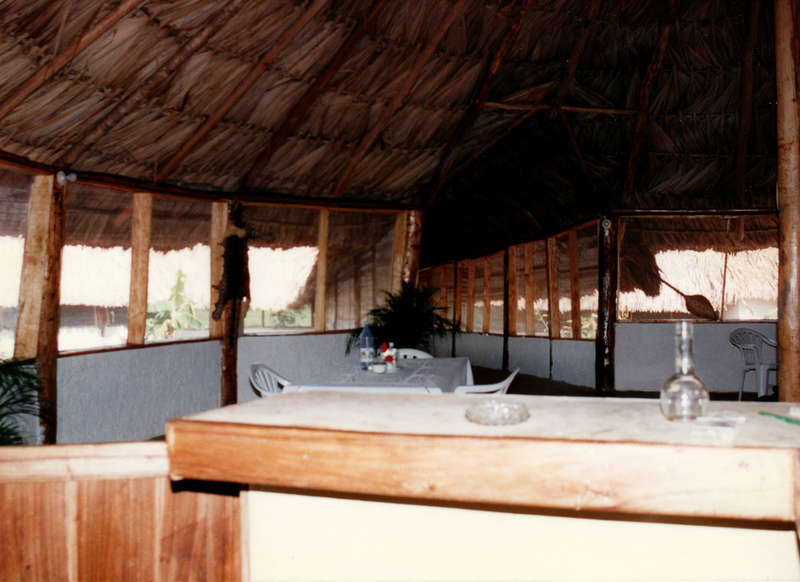 Falcon, being an international waterway on the border with Mexico, requires that Mexican fishing licenses and boat permits be purchased, when fishing the Mexican side of the lake. They are available locally. Sorry I didnâ€™t get a report out last week, but it has been a â€œWild Oneâ€ around the Murray place for the last week or so. We have had a lot of visitors, and in addition to getting a bunch of leather goods ready for the Houston Rodeo, I just couldnâ€™t get a report ready. The patterns have remained about the same, even with the slowly falling lake level. Some of the really shallow spots are not producing as good as they were, but the places that had 2 to 4 feet of water (or deeper) that had fish, still have fish. I had mentioned in my last report that me and my old tournament partner (Randy Dennis of Zapata) had caught a nice stringer. Well, we decided to fish the Anglers Choice tournament, the following weekend, but couldnâ€™t fish it together, as I had my nephew (Mark Murray of Ft. Worth) along with my old tournament partner from when I lived in Ft. Worth (Steve Middleton), and some good friends ( Alex Garcia and Mike Biggs, from Ft. Worth), all scheduled to come down the same weekend. Add in the fact that one of my best friends and employee (Larry Hinojosa of Roma) got married that Saturday, there was no way that I could fish with Randy. The way it turned out, was that Donna (my wife) fished with Randy during the tournament, while I fished with Steve, and Alex and Mike just went fishing in Mikeâ€™s boat. Randy and Donna drew a low number, while me and Steve drew out in the middle of the pack. I knew I couldnâ€™t out run Randy to our main hole, as Randy drives a rocket, which is a Nitro 929 with a 300 Pro Max Mercury on it, but me and Steve did empty my Nitro 911 CDC of everything that wasnâ€™t required by law, except for a couple of â€œZip Locksâ€ full of plastics and my extra prop. This amounted to pulling about 250 pounds out of my boat, which should have made it run pretty good, plus we only left about a half of tank of gas in it. 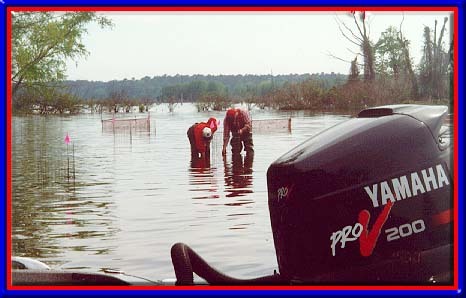 I thought something was wrong when I backed off of the trailer that morning, as my motor was running real rough, and when we took off at the start of the tournament, we almost couldnâ€™t get the boat to get on plane. Then the motor would only turn about 4800 RPMâ€™s, but we still passed 3 boats and nobody passed us. I know this is getting drawn out, but there is a lesson to be learned here. When we arrive to our best hole, of course Randy and Donna are steadily â€œthrashing it,â€ and basically ignoring me and Steve. Keep in mind that we are the â€œenemyâ€ for the duration of the tournament. At about 10:30 AM, both boats have a limit, which weigh about 15 pounds each, and now Randy and Donna have â€œwarmed upâ€ to us a little, and have started talking to us. Since me and Steve were only on the lake on Saturday for a few hours (due to Larryâ€™s wedding), we really didnâ€™t get to scout a lot of areas, but we had stumbled upon a place that was slam full of fish. Our number 1 hole hadnâ€™t produced any big fish, so we decided to make a move. We invited Donna and Randy to join us and go to it (about a half mile through hardwoods), and now my motor is running extremely rough. I tell Donna and Randy that if we arenâ€™t at the weigh in by our time, that we are broke down, and to come and get us. Upon arriving at our number 2 hole, we notice that Shane Gibson and his mother, Lynette Branch (both of Beclair, TX) are on one end of the area, but it is a large area, so we decide to stay and fish. Randy and Donna turn and go back towards our number 1 hole. Me and Steve watch Shane and Lynette catch a couple of fish, but we go about 2 hours without a bite. In a little while, when we get close enough, we find out that Shane and Lynette have about 15 to 17 pounds, and they leave. We catch a couple of fish, which cull a couple of the smaller ones in the livewell, but it really doesnâ€™t improve our stringer that much. The day before, I thought we had restrung Steve with Tuf-Line on all of his rods, but evidently we had missed one, because Steve hooked and broke off a good fish. When I quizzed him about it, he stated that on that particular rod, he hadnâ€™t put on the Tuf-Line. We were sick, as it was the only â€œbig biteâ€ that we had all day, but we knew it was tough for everybody, and we were pretty confident going to the weigh in. We didnâ€™t figure that we would win, but we thought we would place. About 30 minutes before our weigh in time, we started back, and had about a half of mile of hardwooods to idle through before we could get it on plane. Guess what, we couldnâ€™t get it on plane. It would almost get up, and then the prop would blow out. We tried it with Steve getting on the front of the boat, and then we tried it with me getting on the front (I weigh about twice what Steve does), but it wouldnâ€™t make it. By now, we are out in the middle of the lake, near Marker 5, so we start idling to the bank to change props. When we finally get there, I find a piece of barbwire about 18 inches long, that isnâ€™t wrapped around the prop, but actually only wrapped around the front of the lower unit. After talking to Jim Poole of Waypoint Marine about it, we figured that the barb wire caused just enough turbulence to keep the boat from getting on plane, especially with full livewells. In any case, when I removed it, the boat jumped on plane and ran like a â€œscalded dogâ€ back to the weigh in. Iâ€™m assuming that I must have picked up the barb wire when we launched the boat, because it ran so bad, early in the morning. Over the years, Iâ€™ve had a lot of experience on picking up trash on my lower unit, but usually the prop will blow out immediately when you â€œhammer downâ€ on it. This incident was a completely new experience for me, but I will know next time to raise the motor and inspect it, first thing. We might have placed in the tournament. Who knows, but we were about 16 minutes late getting to the weigh in. Usually when you start pulling fish out of the livewell, they tend to shrink, but that day, they seemed to grow a little. To add insult to injury, Steve, Alex, and Mike went back into the same two areas and caught big fish everyday for the next 4 days that they fished Falcon. On Monday after the tournament, they had 3 fish right at 7 pounds a piece, and lost one that they said was bigger. Congratulations to David Cole and Larry Martin for winning the Anglers Choice tournament, and also to Randy and Donna for their 2nd place finish. After Randy and Donna left us, Randy caught about a 6 pounder that improved their stringer enough to move them into 2nd. I catch a little â€œflakâ€ about Donna stroking me during the tournaments, but she has done it several times before, and Iâ€™m sure that it will happen again. The only thing that really bothers me about her beating me, is that she will run our long distance bill up considerably by calling all of our friends and relatives, telling them about it. The Media Bass Tournament circuit here in South Texas is off to a great start, with 101 teams fishing the first event, which was at Falcon in January. We are getting calls and e-mails everyday that are inquiring about the next tournament, which will be on Amistad, February the 24th. The South Texas division has a $2500 guaranteed first place, and this guarantee is sponsored by Waypoint Marine of New Braunfels. What should be noted, is that Waypoint will make up any difference between what would normally be the first place check, and the amounts of the other places arenâ€™t affected. Simply put, we arenâ€™t going to rob the other places to make the first place guarantee. In any case, with a guaranteed $2500 for 1st place that doesnâ€™t effect the remaining payout, plus the regular 85% that Media Bass pays in all of their tournaments, in my opinion this is the best investment for your tournament dollar. Throw in the fact that we will have 3 different championships for qualifying contestants, that all 3 will be awarding fully rigged Nitro bass boats with 200 HP Mercury motors to the winners, and also the chance for 2 South Texas Division anglers (that fish 5 of the 6 STX tournaments) to go on a peacock bass fishing trip with Amazon Tours, makes this a great circuit. Since the first tournament, there has been several incentives added to the Media tournaments, which include an additional $25,000 dollars for winning one of the championships, while fishing out of a Nitro that was purchased from one of the participating dealers in the last two years. This is a chance for a Nitro owner to win an additional $75,000, if they were to win all 3 championships. There are several more incentives, that include all of the Media contestants, and they can be viewed at www.mediabass.com. The schedule for the year is shown below, and if you want some additional information, please give me a call or e-mail. January 13 Falcon Registration: Falcon Lake Tackle Weigh In: Zapata County Ramp February 24 Amistad Registration: Ramada Inn Weigh In: Diablo East Rec. 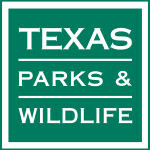 Area March 24 Coleto Creek Registration: The Lost Cajun Restaurant Weigh In: GBRA Park April 28 Choke Canyon Registration: Nolan Ryanâ€™s Waterfront Restaurant Weigh In: Callihan Unit Choke Canyon State Park May 19 Falcon Registration: Falcon Lake Tackle Weigh In: Falcon State Park June 23 Amistad Registration: Ramada Inn Weigh In: Diablo East Rec. Area Championships 1. Amistad, Date to be announced 2. Texoma, Date to be announced 3. Red River, Date to be announced . Beacon Lodge in Zapata, is the official motel of the two Falcon tournaments that we are having this year, and if you are coming to Falcon, I highly recommend this as the place to stay. Gaylen Gilbreath, who is the owner, always has plenty of up to the minute fishing information, and is always a lot of fun to be around. Gaylen can be reached at (956) 765-4616. We have a real nice tackle shop locally, which is Falcon Lake Tackle in Zapata. They have a great selection of anything that you need to fish down here. They are located on Highway 83, South of the Veleno bridge, and are across the road from the big cement plant. 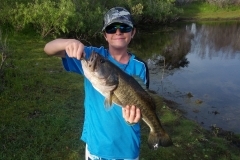 They have a website at www.tackleandrods.com and their phone number is (956) 765-4866. Mexican fishing licenses and boat permits are available there also. 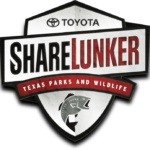 Larry and Barbara Bridgeman, who are the owners of Falcon Lake Tackle, are real nice people, who are involved with all of the tournament organizations in South Texas. Be sure when you stop by there, to tell them that you really appreciate their support. The key to catching these fish on Falcon right now, requires an extremely great amount of patience. By this, I mean when you pitch your lizard or Fluke into one of these hardwoods or some of the other green growth that the fish are holding in, you need to leave it there for as long as you can stand it. Iâ€™ve had some fish take the bait at least a full minute after Iâ€™ve pitched it, and I have talked to a lot of people that are catching their fish the same way. Sometimes you have to make multiple pitches to the same place. This is one of the hardest techniques that I have ever done, but right now, it might be the only way to get a bite. 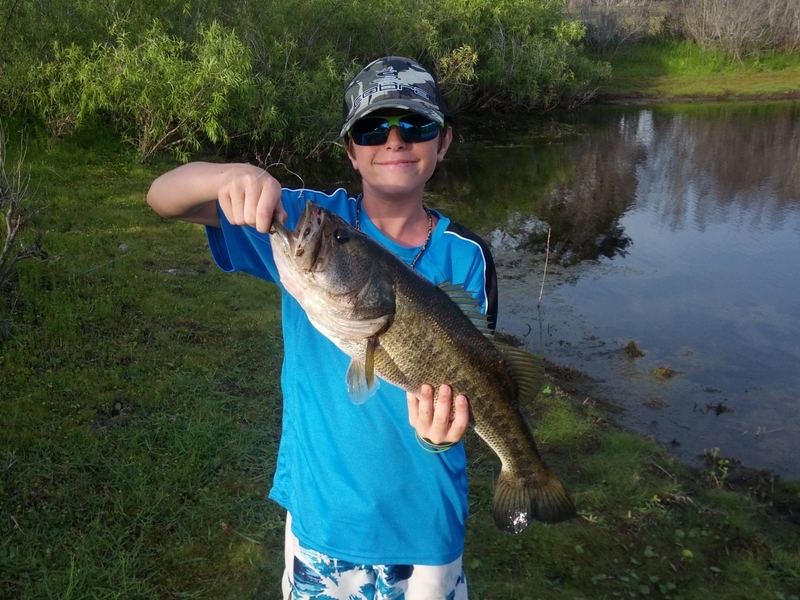 The best baits have been watermelon with red flake lizards, Flukes, Brush Hogs, and Hoo Daddyâ€™s. Other good colors include Red Bug and Black Neon. You need to use a light of weight as the wind will allow you. Occasionally a fish will â€œpeckâ€ your bait, but most of the time, the fish will slowly swim off with it, or it might just get a little heavier than normal. In any case, jerks are free, and I have honestly caught several fish that I just â€œguessedâ€ that one had it. Usually the sneakier the bite, the bigger the fish. Itâ€™s been a secret long enough. The best area on the lake has been on the Mexican side of the lake between markers 5 and 6. There are acres and acres of salt cedars and juisache growing in depths up to about 4 feet. Most of the fish that Iâ€™ve been catching, have been relating to hardwoods that are intermingled with the green stuff. If a little channel is close by, it is probably a little better, but not absolutely necessary. If you catch one in an area, it is almost guaranteed that there will be some more close by. Again I am going to stress the extra slow presentation. The annual Tommy Gray Memorial Tournament is coming up next month, and I want to invite everyone to come down and fish it. For those that have never fished this tournament before, be advised that we have a lot of fun, and usually there are a bunch of big fish caught. The dates for this great event are March 16 and 17, with registration and â€œContestant Bingoâ€ being held on March 15. Tournament brochures have been mailed to everybody that has ever fished the tournament, along with some to key distribution points, such as Waypoint Marine, Falcon Lake Tackle, and T & C Tackle. 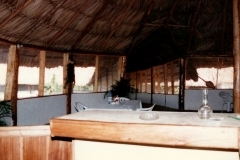 The rules and tournament format will be basically the same, and since the restaurants in Zapata havenâ€™t seen the impact that tournaments have on their business (They donâ€™t believe that you tournament fishermen eat many meals in restaurants, and therefore they wonâ€™t sponsor the tournament), the chamber is going to try and give the contestants free meals at every opportunity. You tournament fishermen might start telling the local restaurants who you are. Along the same line, a lot of the local motels seem to think that all of you tournament fishermen are camping out, and many of them donâ€™t support the Tommy Gray. Beacon Lodge, Falcon Heights Motel, and The Best Western have always supported the tournaments, so try and stay at these places first. . I will be working the Waypoint Marine booth at the San Antonio Boat Show, which starts this coming Thursday, and runs through Sunday, so if you are in the area, please stop by and say hello. Jim Poole has informed me that Tracker Marine has a lot of great things that are new for 2002, along with all of the good stuff from years past. This year the show is at the Alamo Dome, so it will be a lot bigger and better than ever. It wonâ€™t be much longer until the water temperature at Falcon will remain in the 70â€™s for an extended period of time. When this occurs, these fish will literally try (and succeed a lot) to take your spinnerbait from you. 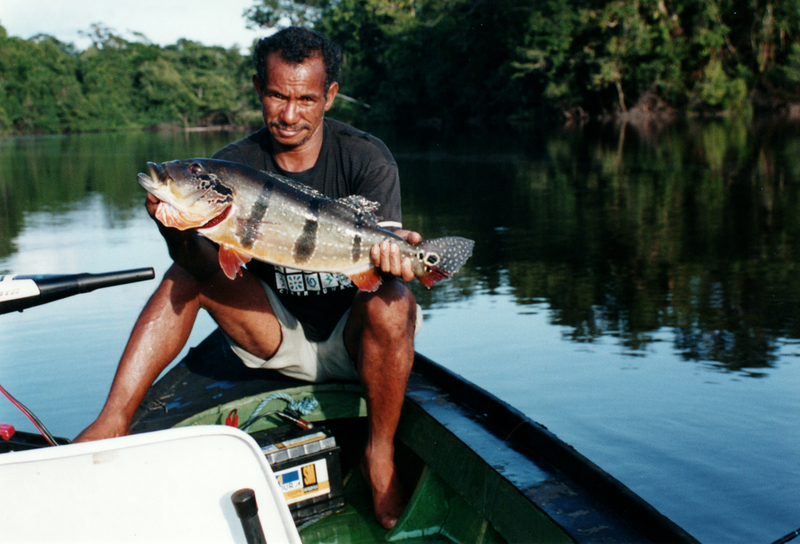 This is some of the best fishing on Falcon, and an opportunity to catch some big fish. 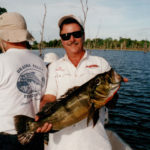 Jack Lewis, who is in my opinion, one of the greatest that has ever been, was the one who turned me on to this fact about the 70 degree water temperature and the spinnerbait bite. It will be awesome. By the way, Jack has a new book out, which is a great one, and you can buy one from him, or go to www.honeyholemagazine.com and buy one online. Itâ€™s well worth the money. While you can catch some big fish right now on Falcon, when the spinnerbait bite starts, your odds improve some, as about half of the time, the fish will hit the bait on your side of the hardwood. I personally use and recommend using SOB Gambler spinnerbaits, which are definitely up to Falcon standards. They are superior quality, and are available in any color or blade combination that you can imagine. Along the same line (no pun intended), if you are pitching monofiliment around these hardwoods, you are taking a chance of losing a fish of a lifetime. I use Tuf-Line because itâ€™s the best, period. This time of year, I use a minimum of 65 pound test on everything that I fish around the hardwoods. A lot of you will think that is massive â€œoverkill,â€ but you would not believe the people that tell me every year of breaking off big fish on mono and braid in tests less than 65 pound, this time of year. Tuf-Line can be viewed online at www.ronstackle.com, while those great SOB Gambler spinnerbaits, along with some other great products can be seen at www.soblures.com. Kistler Custom Rods, which are the finest rods that I have ever held in my hands, have a website at www.kistlerrods.com. Waypoint Marine has a great website at www.waypointmarine.com. I want to congratulate Bobby West for winning the Southwest Research Club tournament over the weekend, with around 32 pounds, and also Kenny Spears for his big bass that weighed 7.80. Good job guys. Debra Dean almost has my website finished, and as bad as I hate to admit it, Iâ€™m am the reason that itâ€™s not finished. I finally finished doing all of the descriptions and pricing on our leather goods, which she is currently putting on the site, so it should be up and running pretty quick. From what I have seen, it is absolutely awesome. The address for both the guide site and our leather goods will be www.murrayleather.com. The way my schedule is right now, I donâ€™t have any open guide dates until about the end of March, but I do have several guides that I am farming out trips to, and they are excellent fishermen. If you need help in getting a trip booked in the next couple of months, give me a call at (956) 848-5630 or e-mail at murrayleather@cs.com.